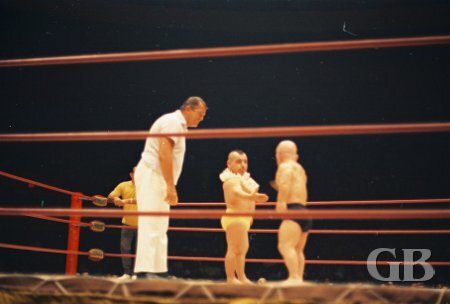 On July 9, 1969, Promoter Ed Francis' professional wrestling card at the Honolulu International Center featured a North American Championship match, the Mighty Midgets, two tag team matches, and two single matches. In the first match, Karl Gotch and Buddy Austin drew and Billy White Wolf took two of three falls from Rocky Montero. 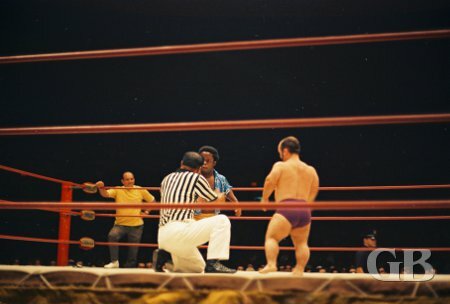 In the first midget match, Little Brutus took a one fall match from The Jamaica Kid. In other midget match, Little Beaver and Sky Low Low battled to a draw. 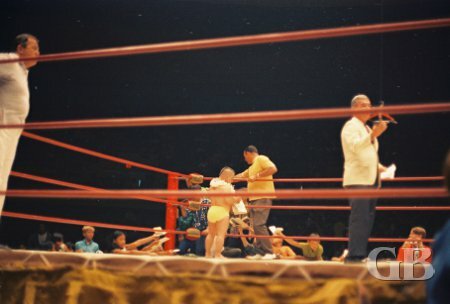 Referee Wally Tsutsumi goes over the rules with The Jamaica Kid as Little Brutus stares in. 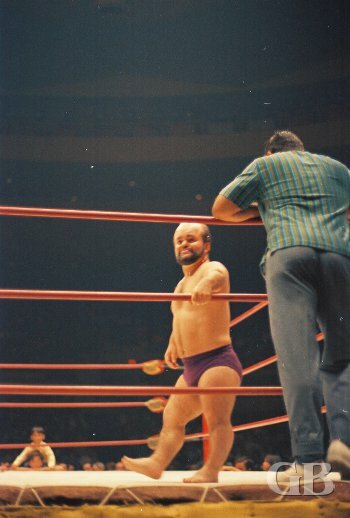 Ring announcer Jim Lathrop introduces the next match as Little Beaver signs autographs in the background. Little Beaver (wearing lei) attempts to shake hands with Sky Low Low. 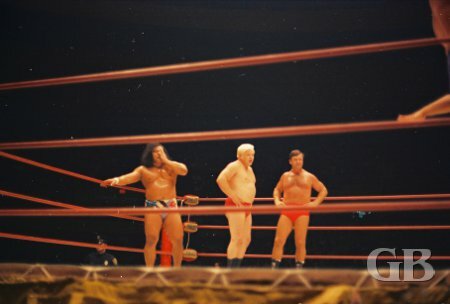 In the first of two tag team matches of the evening, Gorilla Monsoon and Curtis Iaukea battled to a draw with Nick Bockwinkel and Dory Dixon. 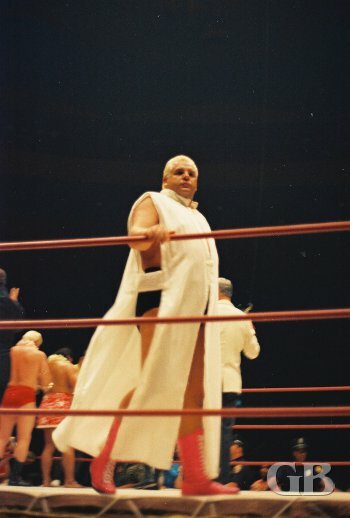 In the six match tag team match, the third and deciding fall was won on a disqualification as Pat Patterson, Ripper Collins, and Buddy Austin defeated Ray Stevens, Ed Francis, and Peter Maivia. 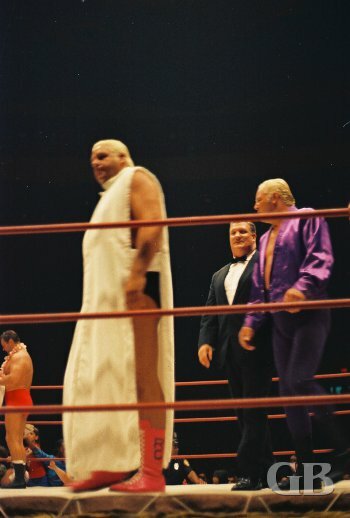 Peter Maivia, Ray Stevens, and Ed Francis stand ready to do battle. Ripper Collins with his tag partner Buddy Austin and valet "Friday." Collins giving the crowd a fashion show. 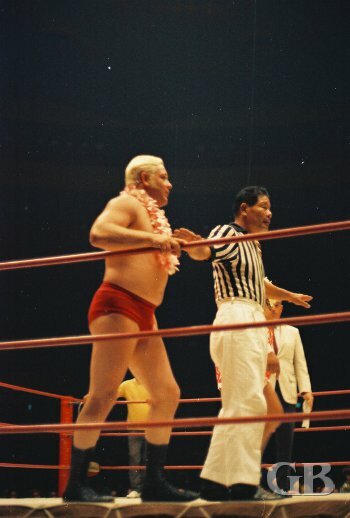 Referee Wally Tsutsumi calms down Ray Stevens as the match begins. 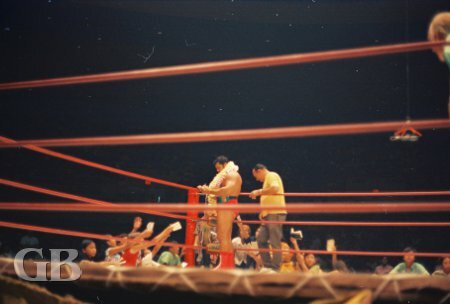 The main event was a rematch for the North American Championship with Champion Pedro Morales giving former champion Gene Kiniski a shot to reclaim the title that he lost to Morales a few weeks earlier. Morales retained his title belt by taking two of three falls from Kiniski. The deciding fall came when Morales applied a sleeper hold on Kiniski. 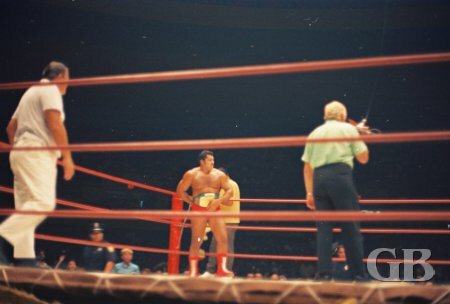 Pedro Morales wears his newly won North American Championship belt. Pedro Morales, draped in leis, signs autographs for his fans. Pedro Morales applies the Sleeper Hold on Gene Kiniski while riding on his back.